On Saturday, 12 March 2011, I screened the computer-animated movie Rango with Janice, Thomas K.Y., Sara F. & Josh C., and their friend Robin. As with the previous weekend’s viewing of Megamind, we were pleasantly surprised and enjoyed the comedic Western more than we expected to. Rango, the first animated feature from George Lucas’ Industrial Light and Magic, successfully pairs the conventions of the Western with the most scraggly anthropomorphic animals I’ve seen. As a fan of Watership Down, Redwall, and Mouse Guard, I’m pleased that director Gore Verbinski balanced modern grit, slapstick, and sympathetic characters. As with other cartoons, Rango‘s script and soundtrack include numerous allusions to other movies, from the obvious The Magnificent Seven and Blazing Saddles to the more offbeat Apocalypse Now and Fear and Loathing in Las Vegas. The celebrity voice cast acquits itself well, with Johnny Depp channeling Robin Williams and Capt. Jack Sparrow as the eponymous lizard Rango, Isla Fisher as tough gal Beans, Spider-Man 2‘s Alfred Molina as armadillo Roadkill, and Hitchhiker’s Guide to the Galaxy‘s Bill Nighy as Rattlesnake Jake. Rango‘s supporting cast is also strong, including Ned Beatty, Abigail Breslin, Stephen Root, Harry Dean Stanton, Timothy Olyphant, and Ray Winstone. The plot is pretty standard, with former pet Rango finding his calling as sheriff of a desert town called Dirt that’s oppressed by various bad guys. The animation is state of the art, both realistic and cartoony. 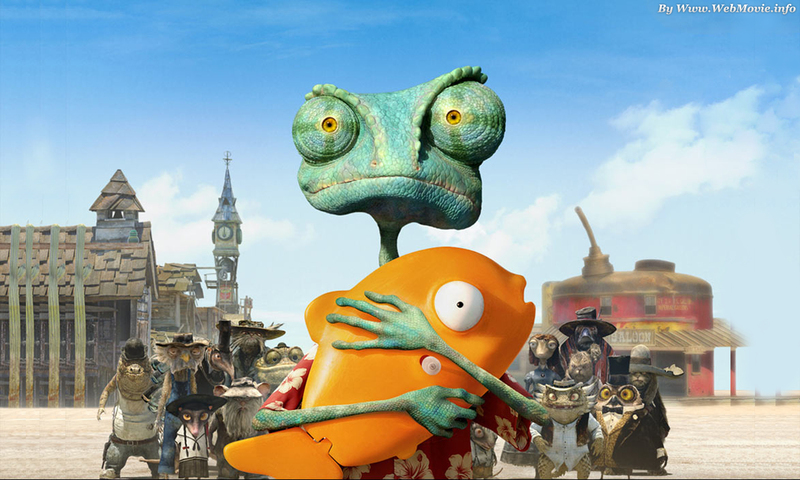 Overall, I’d give Rango, which is rated PG for violence, a B+, 8 out of 10, or three stars. That puts it roughly on par with The Illusionist and Megamind. The next movie I hope to see in the theater is Zach Snyder’s hyperstylized Sucker Punch. After the movie, we went to the Met Burger Bar at Legacy Place in Dedham, Massachusetts. The food and conversation were good, but service was a little slow, and the dining room was noisy. We’ll have to try more restaurants at that outdoors shopping mall. Although I didn’t make it to the Pax East game convention with Ken G. this past weekend, I did pick up my comic book subscription, among other things, in Norwood, Mass. Janice and also I enjoyed the annual “Death by Chocolate” charity event, which was better organized than last year’s and still tasty. Posted on March 14, 2011 by GeneD5Posted in Food, MoviesTagged animation, mall, rango.